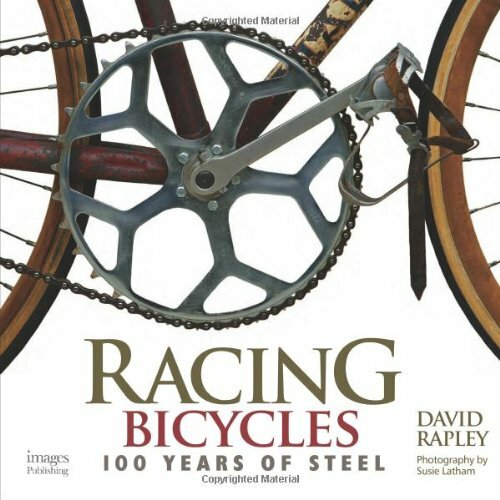 Racing Bicycles 100 Years of Steel by David Rapley. A lusciously photographed collection of Australian racing machines dating from the late 1800’s through 2012. There are some wonderful early path racers, and a great selection of Speedwells and Malvern Stars – for those not familiar with these Australian beauties – as well as other track bikes, club racers, and Tour de France winners. 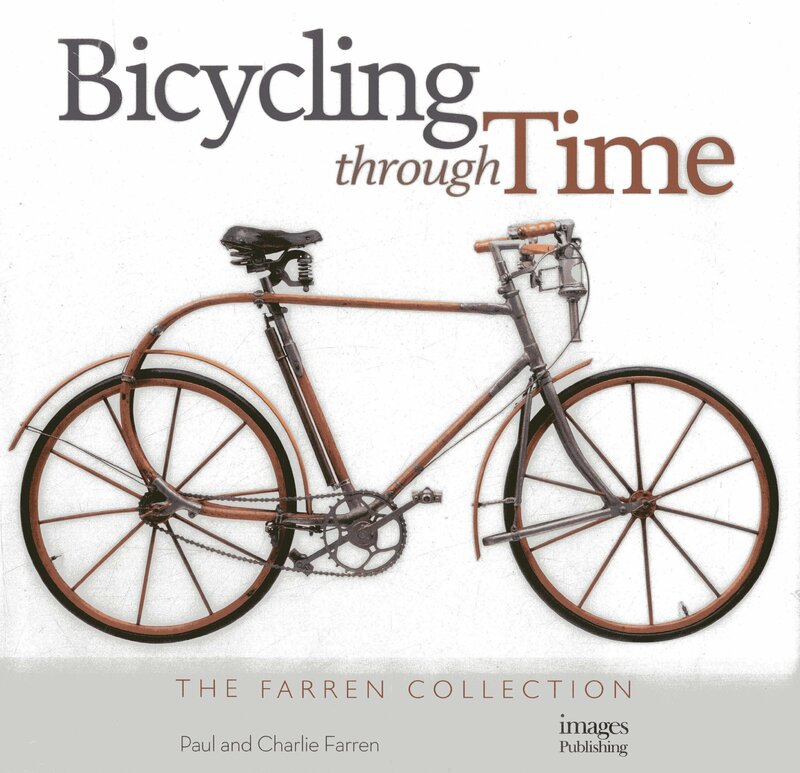 Bicycling Through Time – The Farren Collection, by Paul & Charlie Farren. This husband and wife team have spent their lifetimes collecting very old and very rare bicycles. Paul has taken painstaking effort to restore most of the bicycles featured to rideable condition, machining parts as needed in his amazing workshop. There are some robust examples of early safety bicycles and other fascinating contraptions. Bicycles – Le Biciclette by Fermo Galbiati & Nino Ciravegna. You won’t find these lovely vintage bicycles featured in other coffee table books. There are some wonderful examples in this pocket-sized picture book, which is great to have on hand while riding the bus or taking a train. The photos are top notch, and the collection includes Draisines dating from 1820 and Italian, French and British bikes built from the late 1800’s through modern times, all of which are original and in working order. 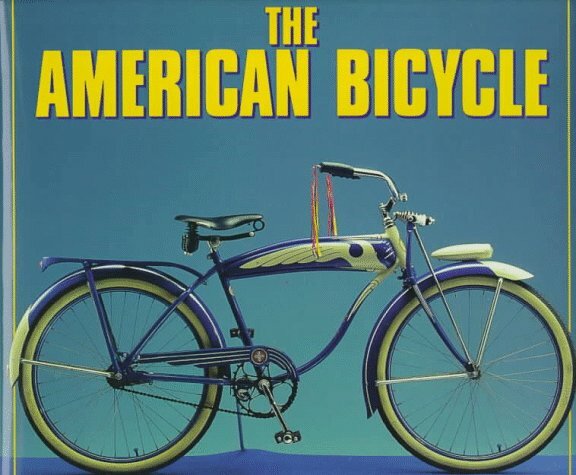 The American Bicycle by Jay Pridmore and Jim Hurd. This collection provides a good counter argument to anyone who believes that 20th century American made bicycles consisted only of heavy, single speed balloon-tired clunkers. In this collection are wood-framed steel lugged masterpieces of the “Gay ’90’s”, early racing and safety bicycles, and all kinds of machines representing the unique American contribution to cycling, all the way through the decades to Joe Breeze’s modified Schwinn Excelsior. Includes lots of well-written historical insights. 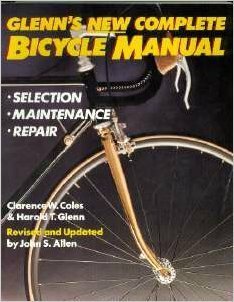 Glenn’s New Complete Bicycle Manual by Clarence W. Coles & Harold T. Glenn. I affectionately refer to the author as “Dr. Glenn”, as he is pictured throughout this excellent repair manual wearing a pristine white lab coat. This 1987 version includes complete instructions on overhauling most internally geared hubs, as well as step by step guides, with excellent pictures and illustrations, for overhauling every imaginable rear derailleur of the time. It has all the other usual stuff you will find in a good shop manual. 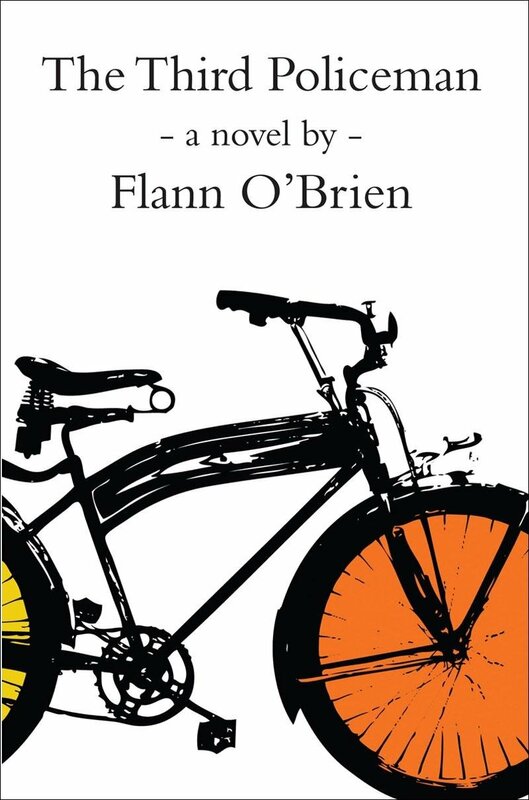 Eugene A. Sloane’s Bicycle Maintenance Manual by Eugene A. Sloane. I include this manual here due to its chapters on frame repairs, frame painting, and a chapter on overhauling tandems. These topics are often left out of modern and vintage shop manuals. 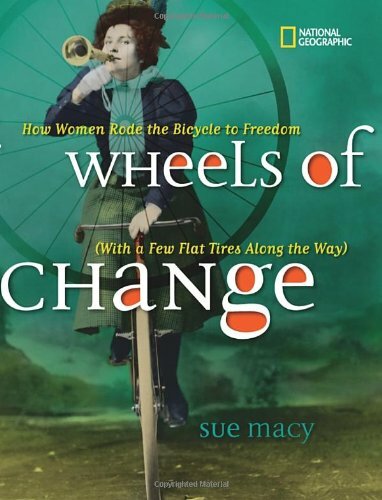 Wheels of Change by Sue Macy. This historical overview is aimed at the young adult crowd. It’s a great look at the history of cycling through the eyes of women riders, with lots of rarely seen photos, including those of African American cyclists. I learned a lot from this book. The author took the time to unearth interesting historical tidbits as well as many photos I have never seen elsewhere. This would be a great book to add to any teenager’s collection. 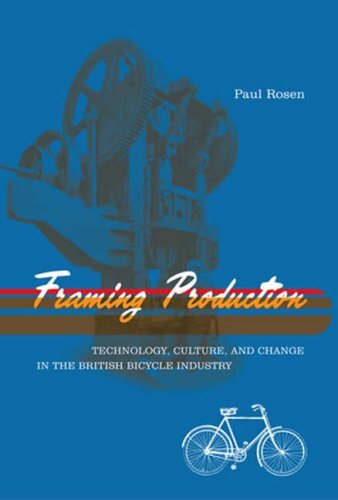 Framing Production – Technology, Culture and Change in the British Bicycle Industry by Paul Rosen. In what began as a PhD thesis, the author thoroughly details the history and ultimate demise of the British cycling industry, focusing primarily on Raleigh. The reading can be a tough go at times, but there are interesting perspectives here on the cataclysmic forces that lead to the end of bicycle production in England, and indeed throughout much of the Western world as economic and cultural changes shifted during the mid twentieth century and beyond. 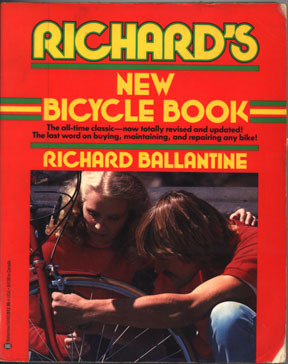 “Dream Ramode Sunfighter Birthright” – Richard’s New Bicycle Book by Richard Ballantine. This treatise at the back of Richard Ballantine’s early editions of his repair manuals cannot be described – it must be read. You might become radicalized, so be forewarned! Even if you don’t make it to the end of this cycling guide for the masses, along the way you’ll find fun pencil and ink drawings of cycling’s days of yore. Just Ride by Grant Petersen. 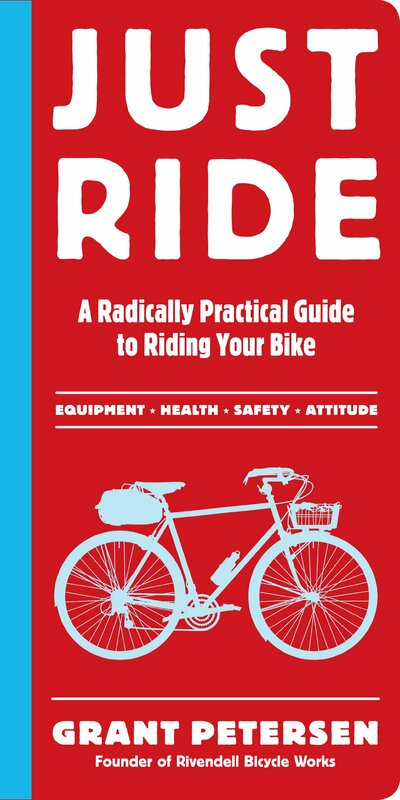 With chapters such as “Carbs make you fat” and “Most bikes don’t fit” this good old fashioned practical cycling guide debunks much of what you may have learned about the “right” way to ride your bike. Taking direct aim at the elitist, racing-focused “bike culture” he offers solid, if quirky, guidance on everything from bells, saddles, and macho competitiveness to a clip-less take-down. 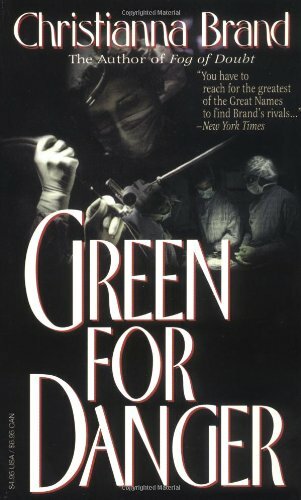 Green for Danger by Christianna Brand. This is a mystery novel set in a war-torn hospital in England during WWII, where a brutal series of crimes unfold. The brief appearance of a bicycle is one of many clues to finding the killer before they can strike again. The writing is a bit uneven, but the insight into British dedication in the face of unbelievable destruction is worth the read. 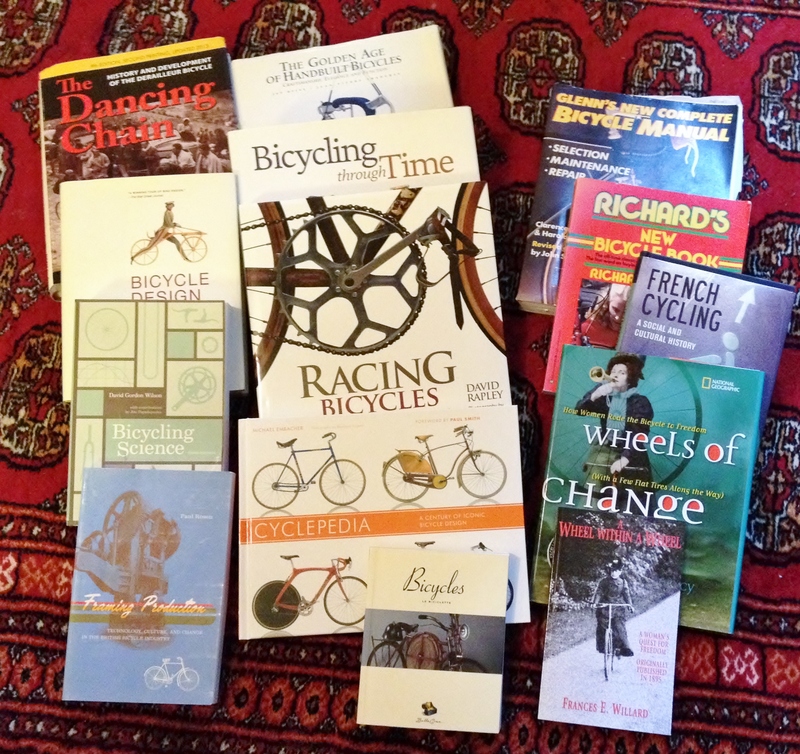 This entry was posted in Bicycle restoration, Vintage cycling books and tagged Grant Petersen, Malvern Star, Richard Ballantine, Speedwell, The Farren Collectioin by Nola Wilken. Bookmark the permalink. Hi Jonee, thank you for writing. It’s nice to know who Dr. Glenn really is, and I will from now all call him Dr. Coles!